Diabetes is a long-lasting medical condition that affects your body’s relationship with natural sugars like glucose. Your pancreas naturally produces a hormone called insulin to regulate the amount of glucose in the blood. It moves the sugar from your blood into your cells where the sugar converts into energy. 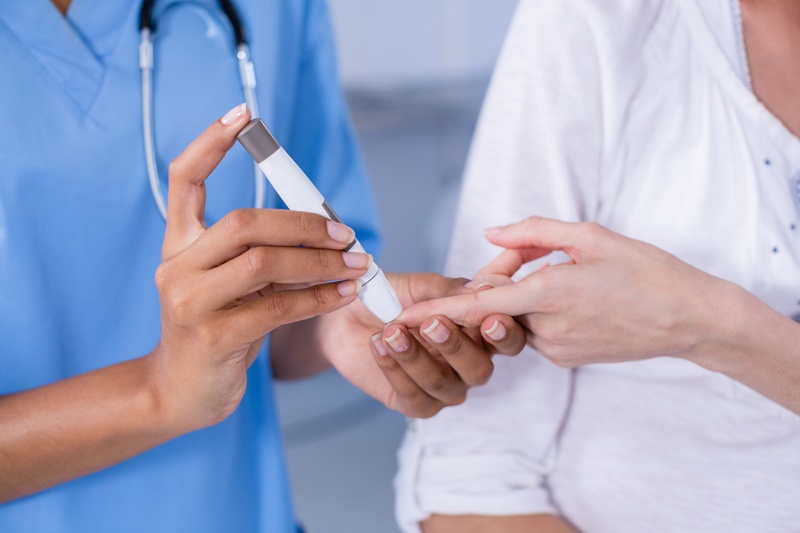 The lack of insulin production can cause a type of diabetes to form. It’s so common that more than 30 million Americans are affected by diabetes, while 84.1 million Americans have prediabetes. Per the University of Rochester Medical Center, poorly controlled diabetes can often lead to periodontal disease. Diabetes can compromise blood flow and end up weakening the gums and bone in your mouth; This makes them more prone to infections. With poorly controlled diabetes, you may have high sugar levels in your mouth which encourage the growth of bacteria that can cause gum diseases. Poor blood sugar control can also lower your immune system which makes it harder to recover from gum disease. If you’re dealing with this symptom, please make sure to drink more fluids. Sugar-free gum is also recommended to keep the saliva flowing. If gum and hydration don’t help to alleviate your dry mouth, consult with your dentist about alternate options. A saliva substitute could be right for you. Worried about the dental costs of an evaluation? With most dental plans, a co-payment for an exam can cost you little to nothing. Take our quiz today to find out which dental plan suits your needs the best.